Apple has purchased artificial intelligence (AI) tech company Perceptio in a move that will help deliver more intelligent features to future devices. This acquisition will set iPhones apart from Google devices by limiting the amount of user information required to power smart features. 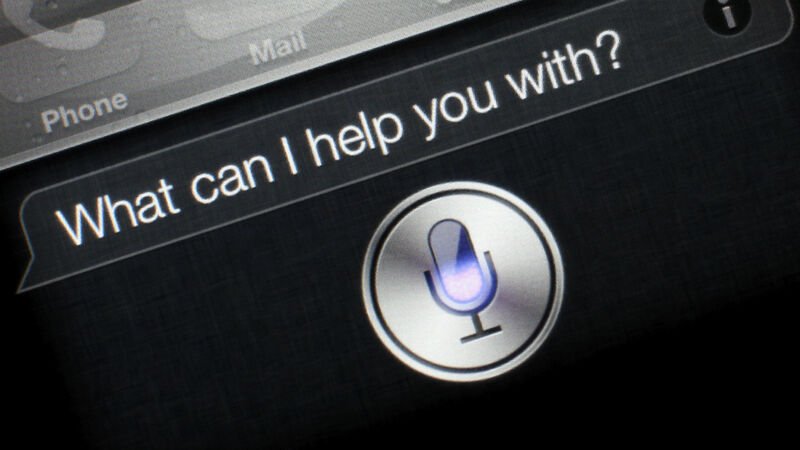 While the particular uses of Perceptio’s tech have not been disclosed, Apple’s recent interest in improving its virtual assistant and other iOS features leads speculators to believe Siri and Photo apps are likely to benefit from this acquisition. Facebook has announced it will be partnering with Eutelsat Communications – a French satellite operator – to deliver broadband Internet to the developing world. The social network is continuing its Internet.org initiative by using a satellite to bring Internet access to over 14 nations in sub-Saharan Africa. Facebook and Eutelsat will be working with Spacecom on this project, a company specializing in satellite communications. An AMOS-6 satellite is scheduled to launch this year on a Falcon 9 rocket from SpaceX. The satellite is expected to go online in the second half of 2016. Despite criticism regarding net neutrality and transparency, Internet.org has grown to operate in 19 countries in Africa since its launch is 2013. In addition to its latest plan to deliver Internet via satellite, the initiative is also looking into the potential use of solar-powered drones. Don’t Share Facebook Privacy Status – It’s a Hoax! You can’t believe everything you read on Facebook. While this should go without saying, a large majority of people have likely seen statuses about privacy being shared recently on Facebook, if you haven’t shared it yourself. Once again, rumors have started swirling about Facebook charging a monthly fee to keep data private. This hoax claims to be a disclaimer that will keep both your wallet and privacy safe. Share this text to your timeline, or be left to pay the fee if you don’t want your personal data shared with the world. As of September 29, 2015 at 10:50 p.m. Eastern standard time, I do not give Facebook or any entities associated with Facebook permission to use my pictures, information, or posts, both past and future. By this statement, I give notice to Facebook it is strictly forbidden to disclose, copy, distribute, or take any other action against me based on this profile and/or its contents. The content of this profile is private and confidential information. The violation of privacy can be punished by law (UCC 1-308- 1 1 308-103 and the Rome Statute). NOTE: Facebook is now a public entity. All members must post a note like this. If you prefer, you can copy and paste this version. If you do not publish a statement at least once it will be tactically allowing the use of your photos, as well as the information contained in the profile status updates. Now it’s official! It has been published in the media. Facebook has just released the entry price: £5.99 ($9.10) to keep the subscription of your status to be set to “private.” If you paste this message on your page, it will be offered free (I said paste not share) if not tomorrow, all your posts can become public. Even the messages that have been deleted or the photos not allowed. After all, it does not cost anything for a simple copy and paste. Don’t believe a word of it. Hoaxes like these have plagued the social media site for years. In 2012, a similar hoax flooded Facebook statuses. 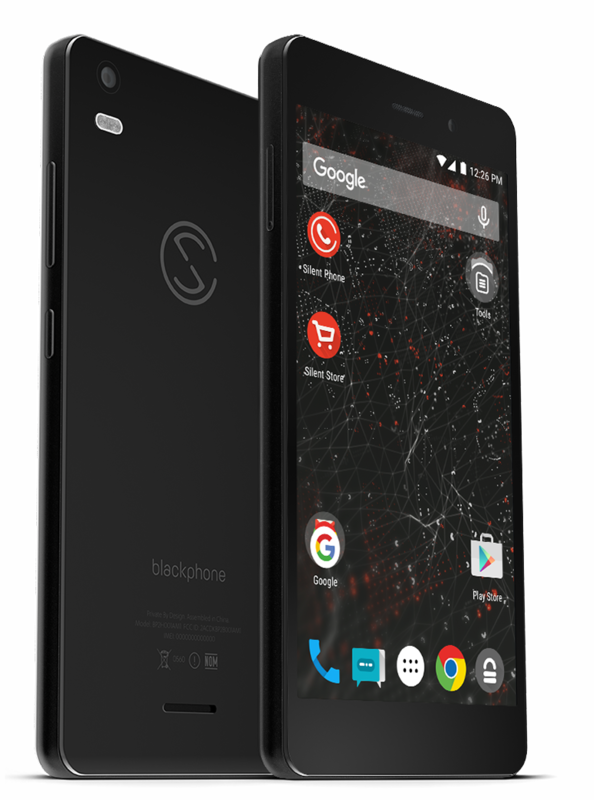 Silent Circle’s Blackphone 2 is now available for purchase. The Android-based device comes pre-installed with a variety of apps focused on security and privacy. The apps allow users to make encrypted calls, send private texts, control what information the phone’s apps can access and maintain separate profiles with varying security levels. The phone itself comes equipped with a 5.5 inch Gorilla Glass screen, an octa-core processor, 3GB of Ram, 32GB of storage and a 13-megapixel camera. “People and enterprises want to take back control of their privacy but too often they don’t know how, or they feel they must compromise too much – that’s why the time is right for Blackphone 2,” President and CEO of Silent Circle Bill Conner said in a statement. At the core of the device’s security features is Silent Phone, which enables users to make private voice calls and send encrypted messages. The device has also been designed so it can be remotely wiped, and allows for precise control of Wi-Fi and Bluetooth connections. Blackphone 2 can now be purchased around the world for $799. The new Google Wallet for iOS was recently launched with a new focus on peer-to-peer payments. The completely rebuilt app went live on Android in September, and is now also available on iOS. Android Pay was launched by Google earlier this month in an attempt to turn Google Wallet into a peer-to-peer payments service. Google Wallet allows users to send money to anyone in the U.S. using only an email address. An added bonus is the person accepting the transfer does not need to be a user of the Wallet service to receive payments. A Google Wallet Card can be ordered from within the app. The card allows users to physically spend the money in their account in stores, or withdraw it from an ATM. Users also have the option to “cash out” the amount in their Google Wallet to a bank account or debit card linked to their account. The new version of Google Wallet is available for download here. Apple is cleaning up its iOS App Store after iPhone and iPad programs were identified as being infected with malware. The first large-scale attack on the App Store was reported by several cyber security firms after finding an embedded program called XcodeGhost in hundreds of legitimate apps. Only five malicious apps have ever been found in the App Store prior to this attack. Hackers were able to get their malware past Apple’s diligent app review process by convincing developers of legitimate apps to use a counterfeit version of Xcode, the software used to create iOS and Mac apps. “Developers are now a huge target,” Olsen said. The malicious version of Xcode was downloaded from a server in China. Developers would have used it because it allowed for faster download time than Apple’s U.S. servers. Chinese security firm Qihoo360 Technology Co. reportedly uncovered 344 apps infected with XcodeGhost. Popular chatting app WeChat was one of the largest programs affected by the malware. An investigation revealed no data theft of leakage of user information had taken place, and the app has immediately been updated to remedy the issue. Facebook and Google have worked together to bring push notifications to users viewing Facebook in their Chrome mobile browser. This functionality was previously reserved for Facebook’s app, but Chrome users will now have the option of being alerted when someone tags you, comments on a photo, replies to your comment, etc. Viewing the mobile version of Facebook on Android devices will allow for the same notification of events users would otherwise receive in the app version. This will prove particularly useful for those not wishing to download Facebook’s app due to bandwidth constraints. Now, users will be asked if they wish to receive notifications when they visit Facebook’s site with Google’s mobile browser. If a user prefers not to receive notification, they can simply say no. The third-party push notifications API was announced by Google back in April, but Facebook hasn’t added the feature until this week. In a move to poach sales from the four major U.S. carriers, Apple recently changed the way it sells iPhones by introducing the iPhone Upgrade Program. The 24-month program was designed for users always wanting the latest iPhone. Customers will pay a monthly fee of $32.41 for the latest iPhone 6S, and will be allowed to trade in their device for the iPhone 7 after 12 months. The iPhone 6S can currently be purchased from Apple for $649. The iPhone Upgrade Program will lease the latest iPhone over a 24-month period for $777.84. This price includes the Apple Care+ insurance package which usually costs $129 and offers software support, hardware repairs for two years and two incidents of accidental damage coverage. In an attempt to compete, T-Mobile CEO John Legere has introduced a limited time offer called Jump on Demand. The 18-month leasing plan for the iPhone 6S is just $20 per month. In order to purchase the phone at the end of this period, users will pay $164, making the total price of the device just $524. Sprint has also announced a 22-month iPhone Forever program, allowing customers to upgrade to the newest iPhone whenever one becomes available. The iPhone 6S is available for just $15 per month on the condition an old iPhone is traded in. The monthly price is $22 without a trade-in. Verizon and AT&T both have comparable installment plans, but have yet to release any promotions related to the upcoming iPhone launch. Smartphones and tablets will soon come equipped with more memory than the average laptop. Samsung announced it has begun mass-production on a 12Gb DDR4 RAM module for mobile devices in its 20nm fab plant. This will allow manufacturers to offer mobile devices with 6GB of RAM, with four 12Gb dies in a single DRAM chip package. The new chips offer 50 percent greater density than existing 8Gb chips that are used in many 4GB devices, meaning twice the amount of memory can now be fit in the same space. Additionally, smaller phones could be made while still having 3GB or 4BG of RAM. The modules are also 30 percent faster than their 8Gb counterparts, and twice as fast as the new DDR4 RAM in PCs, which means better-performing devices. Perhaps most notable is the fact the new modules use 20 percent less energy, which will make a noticeable impact on battery life. Samsung is currently building and stocking these news chips. The latest version of the Opera Mini mobile browser has added a High compression mode which minimizes data use without sacrificing page quality. 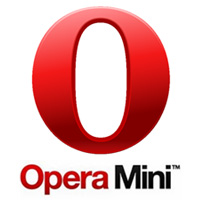 Opera Mini is primarily used in lower-end phones, as the browser has previously been limited to Extreme compression mode. This mode removed all of the visually appealing elements from web pages, including scaling down pictures. The new High compression mode, however, has been optimized for 4G, 3G and Wi-Fi networks and does not affect the way pages look. “With the rise of better smartphones and better network conditions our users now want the option to have a less aggressive data compression mode so they can experience the full internet when network conditions allow for it,” said Christian Uribe, Opera Mini product manager in a statement. The mobile Android browser also includes a better UI for saving pages, a redesigned tab switcher, private browsing mode and a scalable interface for higher resolution devices. The scalable interface could prove particularly useful for data-roaming users with high-end smartphones who want to save on data. Opera is hoping to have 275 million Android users by the end of 2017. Many of these users will be from India and Indonesia, as slow Internet and network issues are a continual challenge.